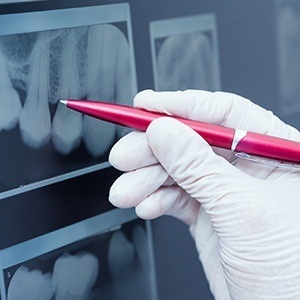 The technology in dentistry, just like with phones and cars, is progressing faster than ever, and the capabilities they can provide a well-trained dentist are just amazing. Dr. Thomas Novak, Dr. Johannsen, and our entire team are continually adding new tools to our office so we can give our patients a better and more comfortable experience. With the latest technology, we can provide our patients with an even higher level of care in less time while protecting them from discomfort. To learn about some of the great tools we use every day, just read on below. This device is small, shaped like a pen, and tipped with a high-resolution camera. 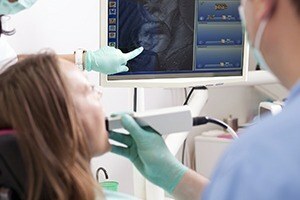 With it, we can comfortably capture detailed images of your teeth and gums and display them on a chairside monitor. 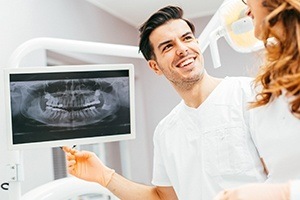 These images will make it easier for us to catch dental issues, and they’ll also give you a much better idea about the state of your oral health. You’ll finally be able to see exactly what your dentist is talking about, which will be vital when making treatment decisions. 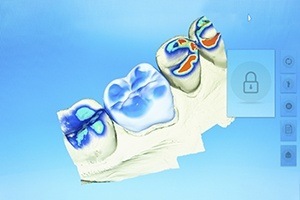 Our digital x-ray machine allows us to find hidden dental problems in a faster, safer, and much more eco-friendly way. Compared to traditional, film-based x-rays, digital x-rays can be created much faster, and they don’t require toxic dark room chemicals to be processed. Because the images are completely digital, they can be stored easily and sent instantly, shortening the turnaround time for many treatments that require an outside dental lab. Plus, our new machine also emits up to 90% less radiation than a traditional one, which is great for giving our patients peace of mind. This machine allows us to create a fully 3D image of your teeth, jaw, and other surrounding structures in a matter of minutes. With this kind of image, we can create highly detailed surgical guides that are completely personalized to your specific mouth. It’ll show us where sensitive nerves are located so we can consciously avoid them. 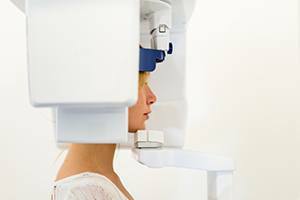 Thanks to this scanner, we can perform procedures with more accuracy and in the least invasive way possible, ensuring a positive experience both during and after treatment. Thanks to our Trios Digital Impression System, we can say goodbye to messy and nasty tasting dental putty. With it, rather than having to bite into gelatinous goo to create an impression, you’ll just need to place your teeth on a small, handheld device. 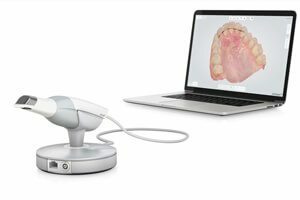 Within minutes, it’ll create a fully 3D image of your teeth that can be used for a wide variety of treatments. This image will be much more detailed than a traditional mold, meaning that any treatments it is used for will fit much better and last much longer. Thanks to the Picasso Soft Tissue Laser, Dr. Novak can treat your gum disease both quickly and painlessly. The laser uses a highly-concentrated beam of light to eliminate both bacteria and infected tissue almost instantly. Because it is so precise, it will leave the surrounding healthy tissue completely untouched, which is why treatments with the laser often don’t even require local anesthesia to be completely comfortable. It can also be used to perform cosmetic gum re-contouring to fix the appearance of a “gummy” smile. DIAGNOdent uses a small beam of light to detect even the slightest signs of tooth decay, much too small to be seen with the naked eye. 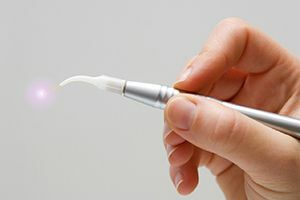 It creates a readout your dentist can use to evaluate the health of your teeth, and if any enamel thinning is detected, they can quickly counteract it with effective and conservative treatments. Thanks to this device, Dr. Novak can often reverse tooth decay and prevent it from ever becoming a cavity.